Founder of Chinthamani Laser Dental Clinic & Implant Center, Laser Specialist And Advanced Basal Implantologist. Dr.Murugavel,Obtained his Bachelor of dental surgery from Sree Balaji Dental College, Chennai. 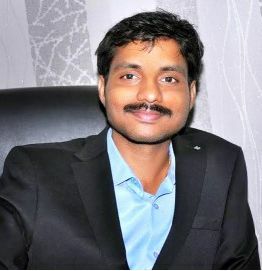 He pursued his Master of dental surgery from Tamil Nadu Government Dental College in 2006 . Implantologist and Implant Prosthetic Specialist, International patients treatment Co-Ordinator.